The annual Heathfield show was held on Saturday with a solid JB Group presence. 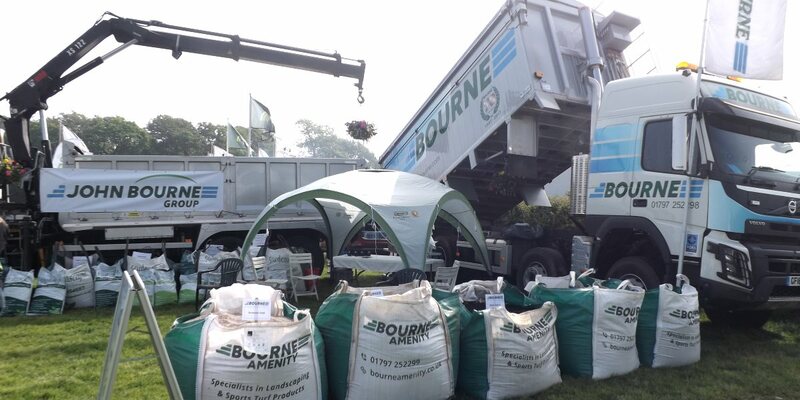 Our welcoming stand featuring both Gardenscape and JB & Co lorries and products attracted not only many visitors, but also a first prize for Best Agricultural Stand (under 12 metres). Well done Nicola for creating a friendly and informative layout with just two lorries, 14 bulk bags and three hanging baskets! It was a fantastic day for the show - wall-to-wall sunshine and an enthusiastic crowd of visitors. The displays were, as ever, very impressive and since our stand is right next by the main ring, we even got to see some of them. However, the stand was very busy with visitors and we had a great number of enquiries, both for the agricultural materials and from keen gardeners. 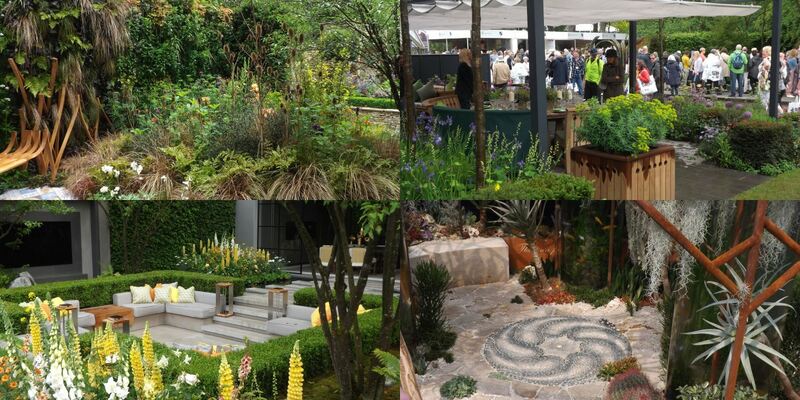 Lindsey and I had a great trip to the RHS Chelsea show yesterday - the weather provided a useful watering boost to the gardens in the morning (that's a polite way of saying we were totally drenched on the way across Chelsea Bridge) and then obliged with sunshine from midday onwards. It wasn't very easy to get to talk to anybody though - the show was very crowded. In total we spent about five hours at the show - and more or less the same time travelling there and back. London traffic! Have we started operating on the Côte d'Azur? No, it's the subtropical Rye Bay, but what a difference nice weather makes! Here we are loading plum slate for Long Rake Spar on tippers of two different generations. Time for the next monthly challenge! The rules are simple: submit a photo taken during the month of May (this year) by close-of-business on Thursday 31 May. 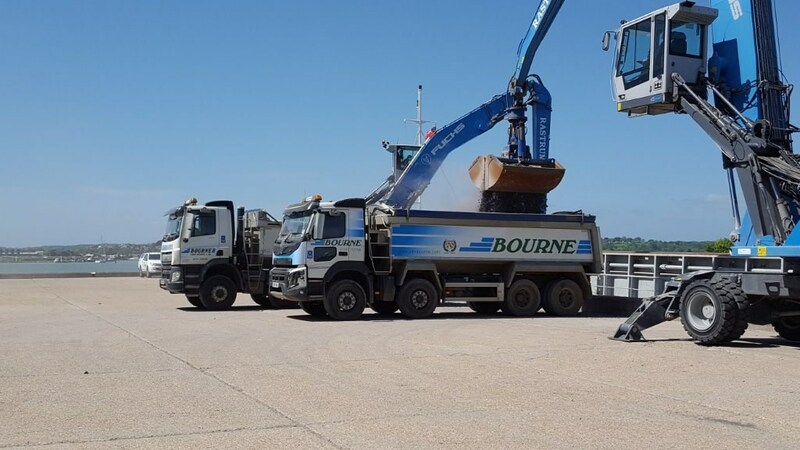 The photo can be of any subject you think makes an interesting and/or attractive picture, but it has to include a logo of the Bourne Group (i.e. 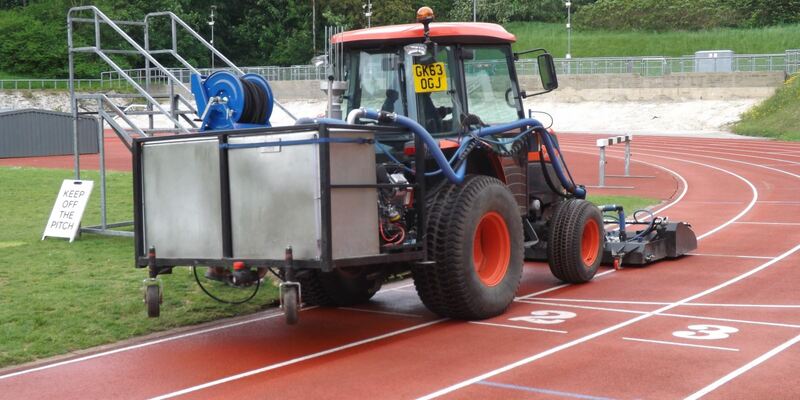 the logos of Gardenscape, Bourne Amenity, Bourne Sport or John Bourne & Co). The prize is again a crate of your favourite beer or something similar, if you are not a beer drinker. Interesting photos submitted with a short description may get their own feature on the blog as well.